Whether your child dreams of swashbuckling adventure, discovering a new land, or working to make a better world, you can feed his imagination using some of the best books for children out there. Reading to your kid is the first step you take in teaching him all about the world. Make it step in the right direction. It’s essential to teach our children from an early age that books are fun and that reading is not something old school teachers use to punish naughty boys and girls. Reading will help him discover the world and will feed his imagination. Books can help children enrich their imagination. Think back to your early life and remember the first book you read or the first story your mother or father told you before going to bed. Dragons, damsels in distress, knights in shiny armor, princesses dressed in white, Prince Charming saving the day – all these adventures were part of our lives growing up. Do you remember the first book you ever read and what it felt like? The anticipation, the joy, the revelry of discovering a whole new world hidden inside a paper cover. Will the princess rescue the prince? Will she spare the dragon’s life? These were the questions that stirred inside our minds when going through our first narratives. Children’s literature is not an entirely new concept. It’s been around since the beginning of the eighteenth century. However, over the last two decades, the whole genre has been enriched with books on various subjects. Follow the adventures of Bilbo Baggins, a hobbit from the Shire, who embarks on an adventure to claim the riches of a dwarven fortress. Together with Gandalf the Grey, a wise and old wizard, and a band of warrior dwarves led by Thorin, the party must venture into the wild, battling trolls, goblins, and orcs on their way. If your child loves to hear about knights, dragons, and fantastical worlds, then this is the best book to start with. As always, the book is available in two formats: print and eBook. There is even a movie adaption of Tolkien’s The Hobbit, but it would be a good idea to wait around awhile before watching the movie with your child. 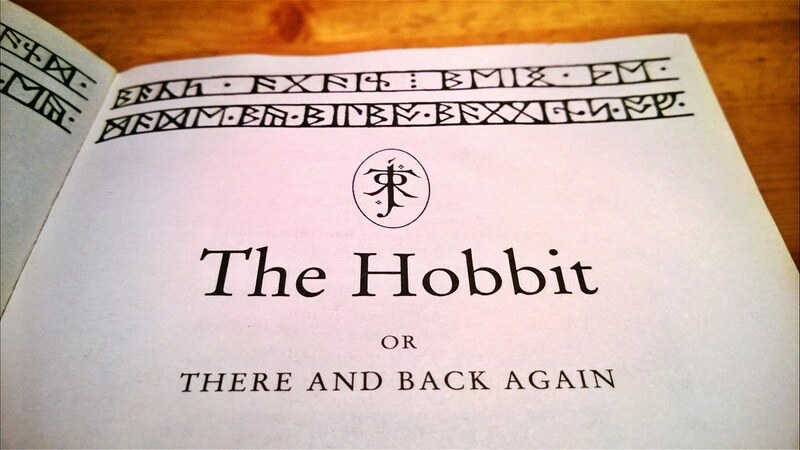 The book itself was intended for children, as Tolkien pointed out in some of his letters. However, the film, which was directed by Peter Jackson, may be too intense for small children. The story starts with James Henry Trotter’s account of how his parents were eaten by a gang of wild rhinos. After the tragical death of his parents, Trotter is sent off to live with Spiker and Sponge, his cruel aunts. James’s life will change forever after dropping some magic crystals on an old peach tree. The tree begins to grow out of control, becoming as big as a house. After climbing it, James will discover a new world and make some new friends. Momo is the story of a girl without a family who lives in a decrepit amphitheater. However, the little girl has a knack for helping the people around her. Momo’s life will change forever after some men dressed in gray take over the city, taking away everybody’s time and happiness. Follow Momo, the little vagrant girl, as she embarks on a journey to reclaim the time stolen by the evil men in gray suits. This is an adorable collection of Christian bedtime stories intended for children. Using snuggly animals, the book retells all the classic Bible stories, but in a child-friendly manner. This is the original Ramayana epic retold for children. Tell your child the story of all the Indian deities with this book that features beautifully drawn pictures. This is a humorous and witty introduction to the world of science fiction literature. Follow the adventures of Professor Otto Lidenbrock and his daring crew as they venture deeper into the ground in hopes of discovering a safe passage to the center of the world. Written by the celebrated Dr. Seuss, this is a perfect birthday book for your child. Your child, as the birthday boy or girl, is the center of attention. And one cannot celebrate his birthday properly without meeting the inhabitants of Katroo. From what the author tells us, the residents of Katroo have a tradition of celebrating a whole day and night when it’s someone’s birthday. This is a marvelous collection of tales coming all the way from the North Pole. Each year, Tolkien would hand his kids a sealed letter and tell them it cames from Santa Claus. These letters were often accompanied by beautiful drawings and a rich narrative. Follow the adventures of the reindeer who escaped and scattered all the children’s presents all over the North Pole, or the account of the a polar bear’s mishap when he fell through Santa’s roof. In the best books for children category, we are happy to bring you an insightful and masterfully written non-fiction book featuring the world’s most brilliant character, Albert Einstein. The book tells the story of a little boy who dreamed of traveling at speeds greater than light and how he was fascinated by everything that surrounded him. Both parents and children will appreciate this book. The perspective of divorce is a cruel reality that some families must face. This book written by Cornelia Spelman tries to explain the act of divorce to small children using colorful pictures that depict a bear family. This is a children’s book about the events that surrounded the Holocaust. Tell your child everything there is to know about Anne Frank, as well as the reasons she became so famous and beloved by readers from all around the world. Abramson has done an excellent job of narrating the life of Anne Frank without disclosing any of the more disturbing details, which make it a kid-friendly read. These are some of the best books for children you can find out there. Also, it’s good to keep in mind that all the books mentioned above can be purchased in all formats, like Kindle, paperback, and hardcover. Moreover, it would be a good idea to search for free to download children’s book. Children’s literature includes various subjects, ranging from science and history to fiction, adventure stories, and poetry. The possibilities are endless.